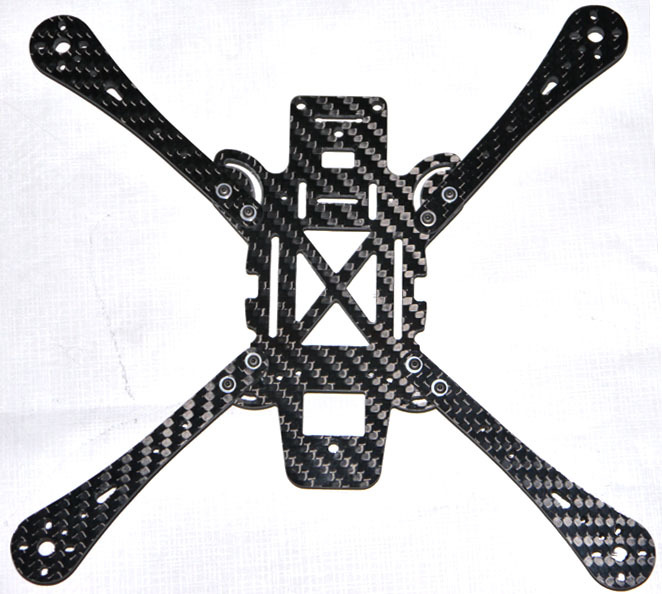 "The BEST Xtreme Foldable FPV Upgrade"
The Xtreme is taking over the mini/micro scene with this quad, we have taken it to the next level for beginner and serious FPV flyers out there. 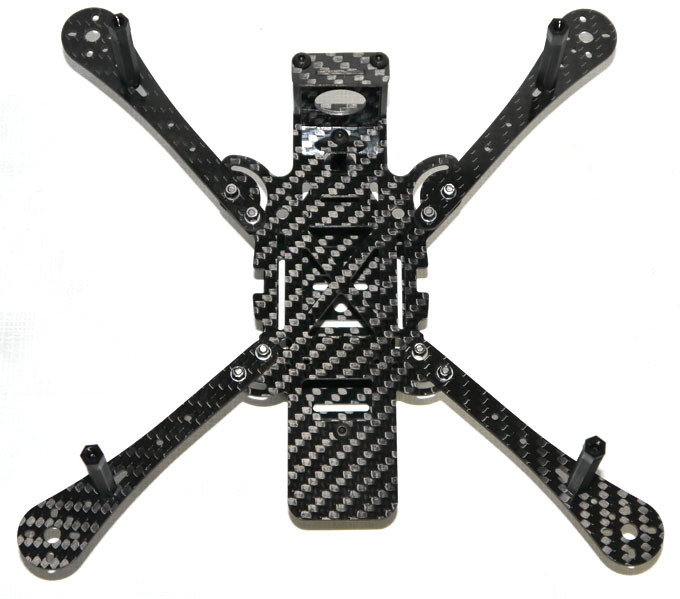 With mounting locations and accommodations for many of the accessories FPV flight requires, camera, TX units, batteries, etc.... A board mount camera can be mounted on the front under the frame. 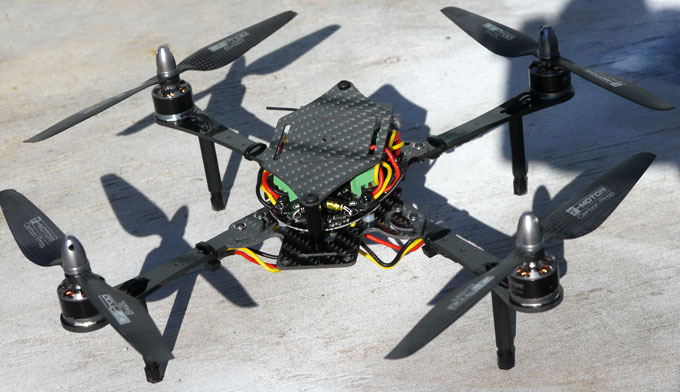 The front mount board cam can be mounted level or angled slightly upward for a better in flight view in forward motion. A shelf area off the back of the frame allows for the mounting of accessory items, like a RX or video TX. 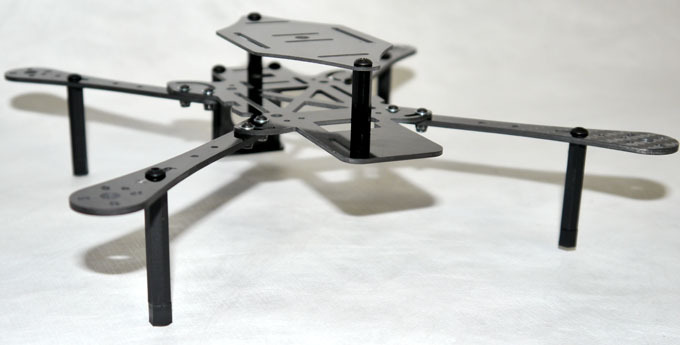 You can re-use the stock Xtreme landing gear for easier orientation or, there is optional lightweight landing gear included with this kit to provide 40mm of clearance under the frame and a stealth look. Up front you can mount a mini cam then the FPV video TX and FPV battery on top allowing for the RcLogger 1150mah battery in a centered bottom location. This frame will fold to store in tight places and small cases. Folded this frame has a footprint of 180x100mm with the props removed. Frame is cut from pure 3k twill weave carbon fiber with no glass fillers or composites the total weight of the frame comes in at XXXg and built with T-motors and props the total weight comes in at XXXg, a total weight savings of XXXg over stock. The frame was designed to accommodate the stock motors or upgrade to the T-motor 1306-20 3100v motors. When you upgrade your motors, either from breakage or wanting to improve your flight right off the bat for longer flights. 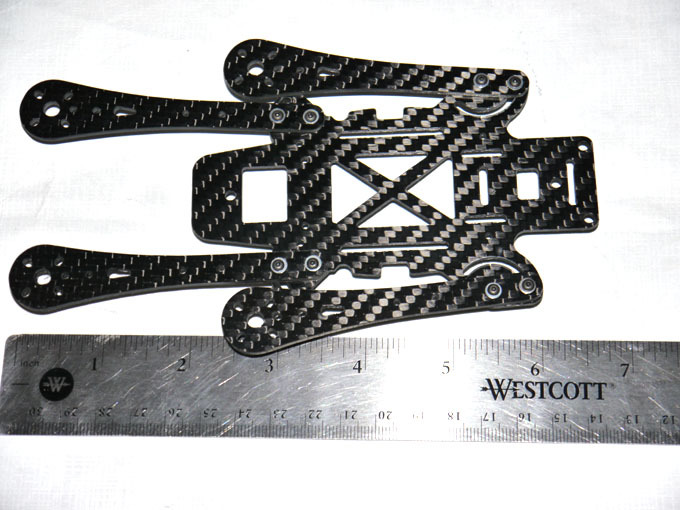 There will be no arms to change or rebuilding beyond installing the new motors, lengthening the motor wires and reconnecting to the flight controller via the solder less motor terminal ports. Transplanting the main components of the Xtreme Eye One and building them into this frame is a relatively straight forward process. It will take 1-2 hours and require basic hobby skills. Should you want to upgrade your motors to the highly efficient T-Motor 1306-20 motors you will have to lengthen the motor wires slightly requiring basic soldering. An optional top mount accessory plate is available to replace your stock plastic canopy. 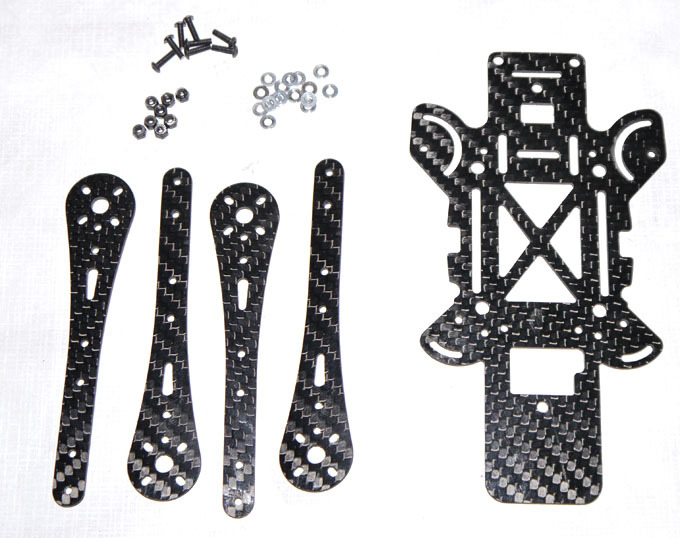 The accessory plate is cut from 1mm 3k twill weave carbon fiber and includes all hardware needed.